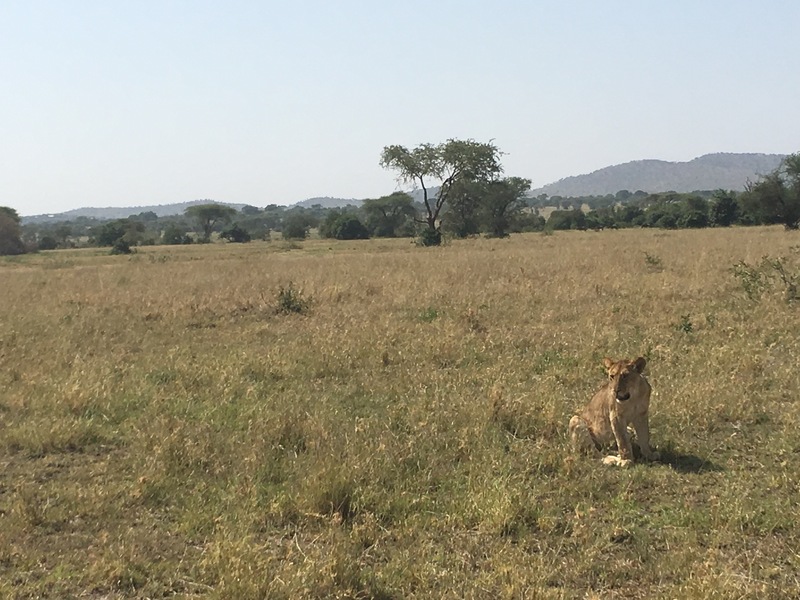 We have just been on our first safari in the Serengeti: it is a truly mind-blowing place. In this over-developed world of climate change and cities, the experience was unreal in the most literal sense: an exercise in presence par excellence, we are all so grateful for having been able to explore one of the most raw and wild of environments remaining on our planet. 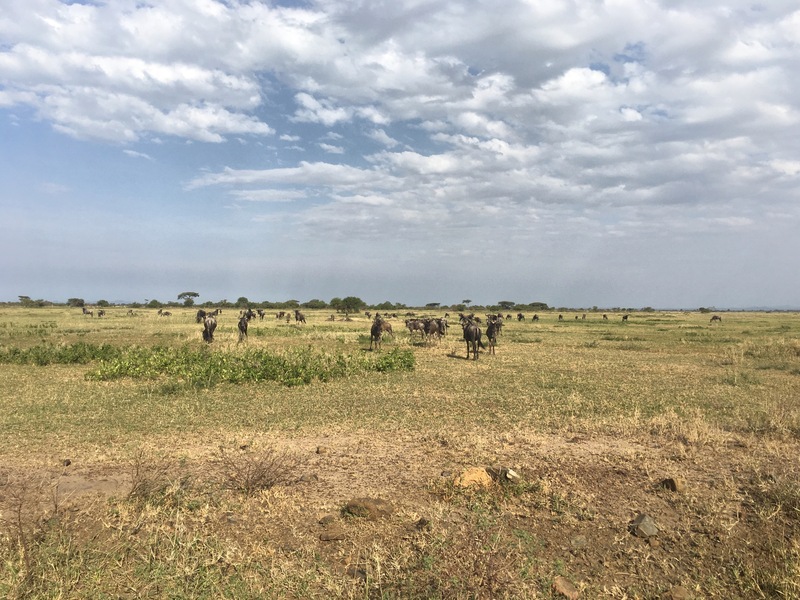 After seeing a huge group of mongoose scrambling around close the entrance, the first sightings we had as we drove into the Serengeti were groups of wildebeest and zebra. They stick together: there’s strength in numbers, the zebras navigate, and have the good eyesight the wildebeest lack. 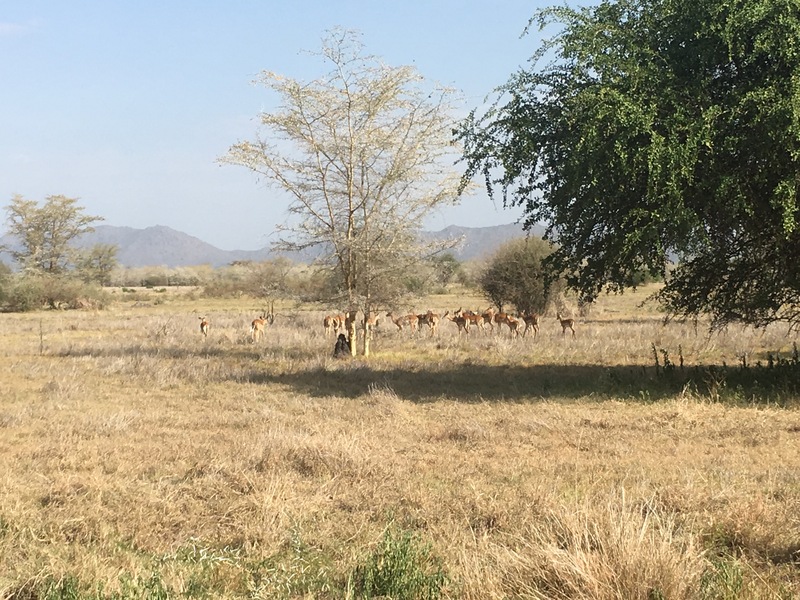 Next, we saw herds of impala and gazelles in large family groups on the move; this is the time of year for rearing young for the antelope and all the animals of the park. Keeping watchful in this vast, hot, dry expanse, we spotted a lonely and distinctive pair of ears by a bush: it turned out to be a grey fox trying to conceal itself in the undergrowth. 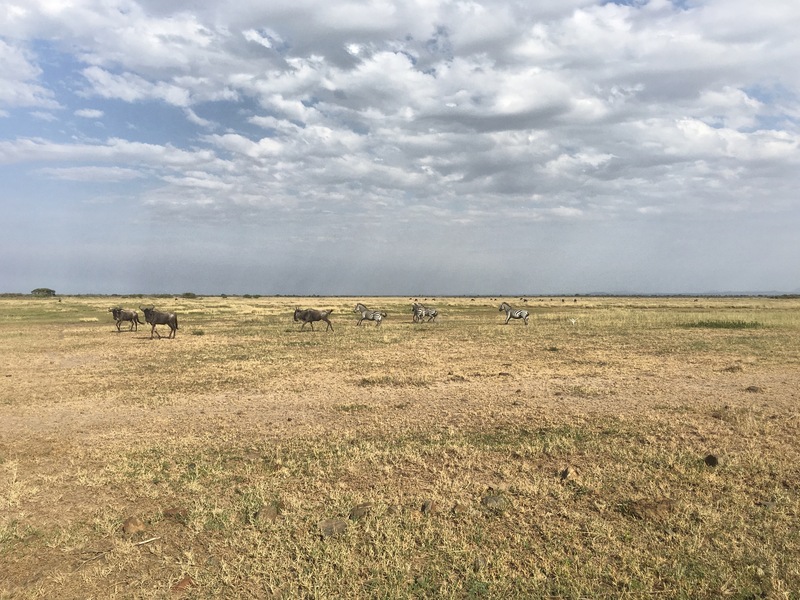 I didn’t get a picture of these little ears, one of the many moments on this trip and in life that I wished I owned a professional camera, so here are some more wildebeest. Further in the distance were some larger forms: the giant buffalo of the Savannah were ambling along in the tree line. 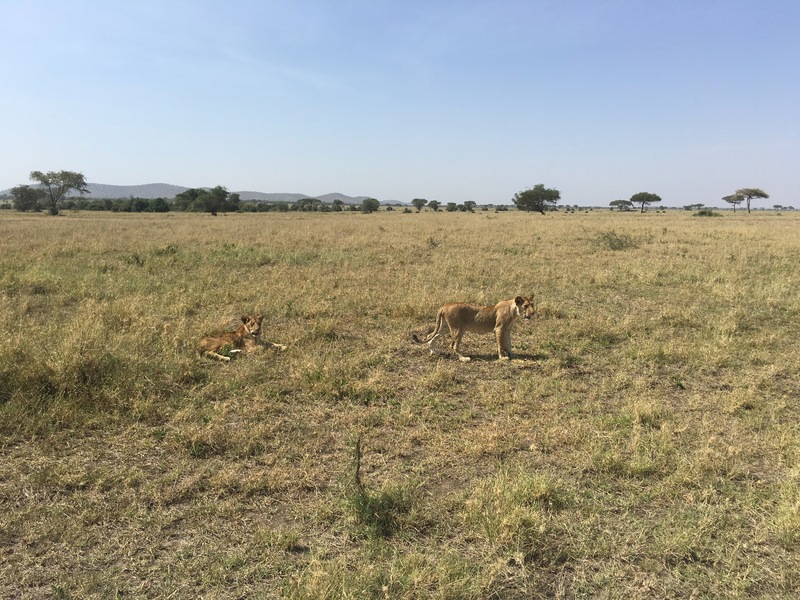 …and then – before we were even ready to encounter them – we found a small pride – a mother and her three juvenile lion cubs. Wow. Lions. We’d taken a slight detour from the path and found them panting in the stark sunlight. The mother was moving off (to hunt?) and was completely unconcerned about leaving her family near to the safari vehicles (another jeep had luckily found the family just before we arrived). 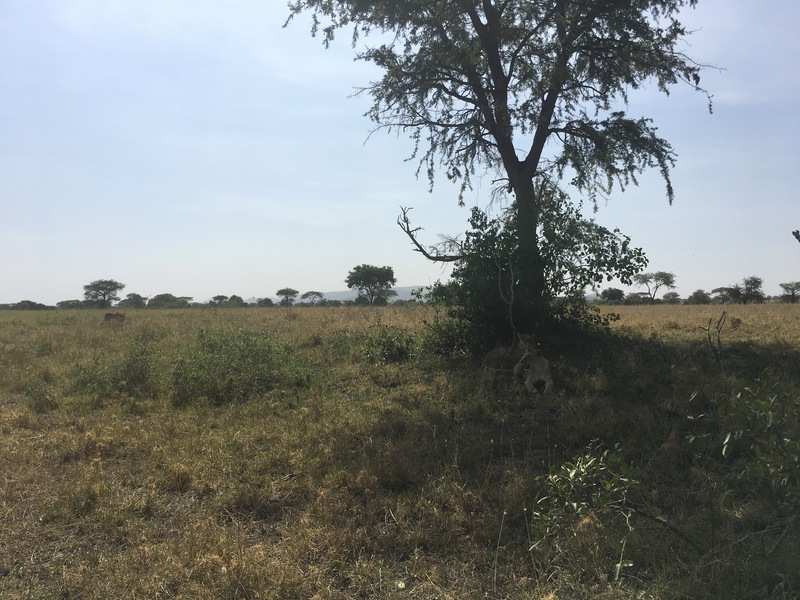 We watched as the youngsters sloped off to the shade of a nearby tree and nested down, alert to our presence but too hot to do anything but impassively look from a distance. Here‘s a little peak into the sounds as well as the sights that were around us at that moment. 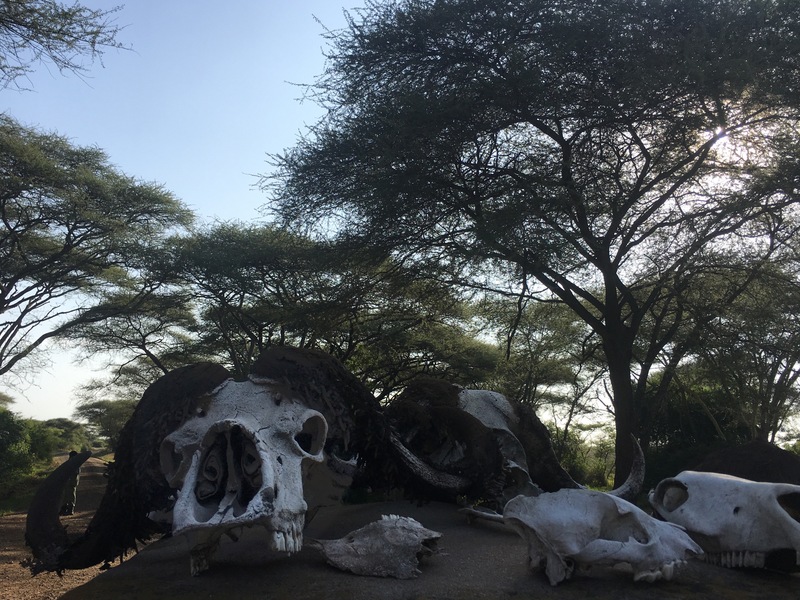 After a while of marvelled staring, we decided we should leave the lions to their rest and drove on, only to quickly drive right by a family of giraffes munching the tree tops. Take a look at their steady, elegant gait here. They – and one of the juveniles in particular – just kept staring at us as we rumbled by in the car. The fact that there are still some green leaves left in that hot dry expanse is utterly amazing. 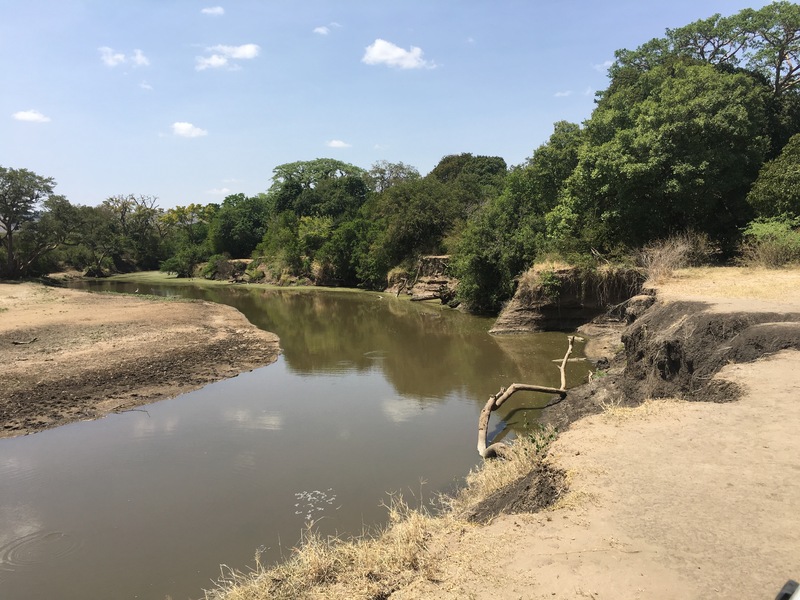 Typically, there are two rainy seasons each year in Tanzania; one short, one long. 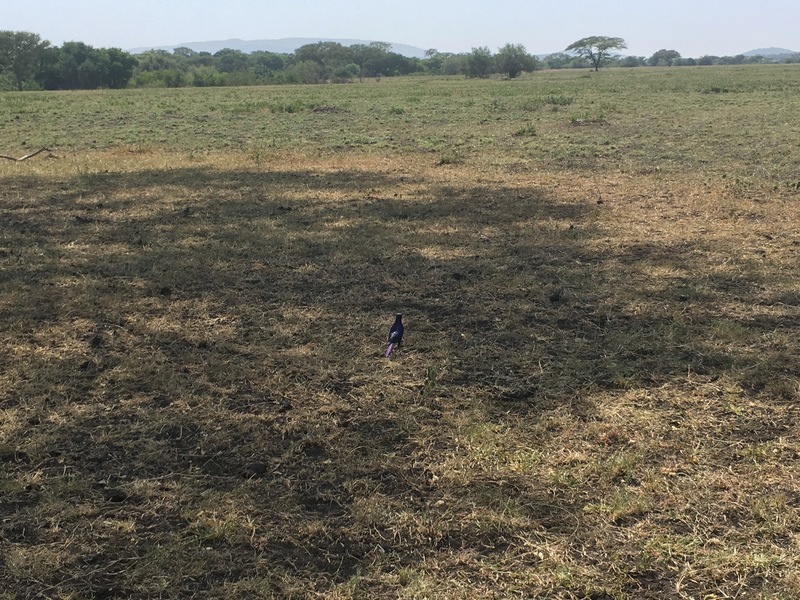 This year and last there has been very little rain at all however, and in the deep African savannah, it is bone dry. 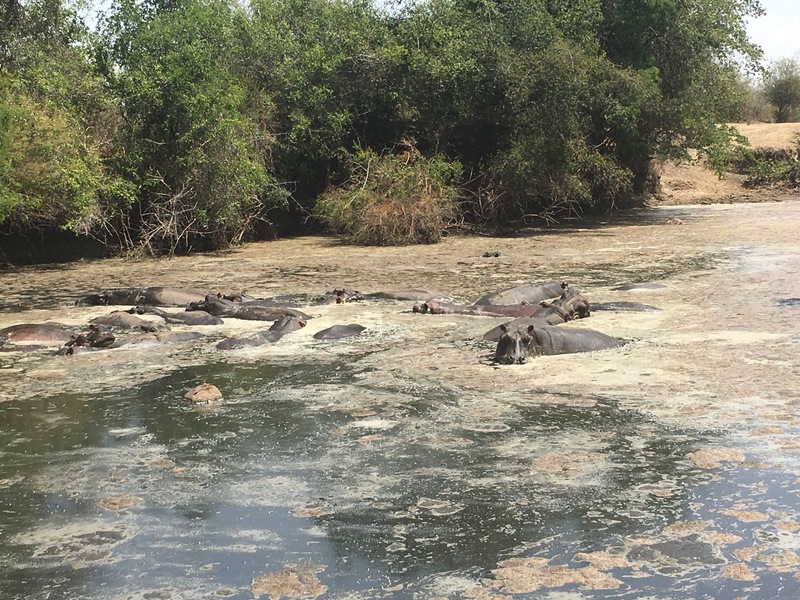 Nearby, huddled close together in one of the few remaining water holes were a squashed community of hippos. A short drive later and we found their watery companions: the crocodiles. Can you see two of them there on the right, close to the bank? There were many others, lining the water’s edge, rock-like or deceptively submerged in the dark water. 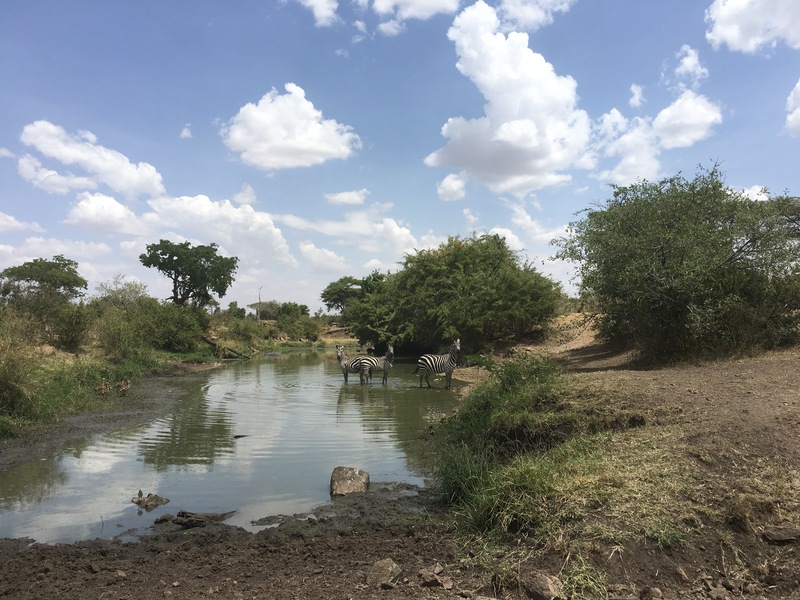 At another similar spot we saw a mixed herd of wildebeest, antelope, and zebras rush away from the water, as we heard sounds of distress from a zebra. 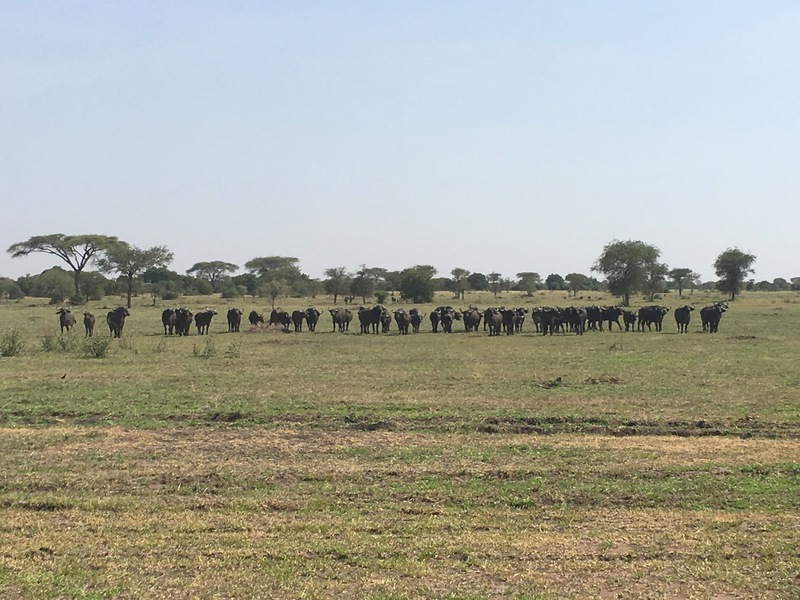 We saw so much we had never seen before on this short day in the Serengeti. Most of what we saw was too distant or too small to photograph on our phone cameras: a plethora of fascinating birds we are still identifying, numbers of ostrich that began to appear as we reached the early afternoon, the African blue starling was obvious in most places we stopped, whip-fast warthogs with their wiggling tails, the Leopard tortoise, more monkeys than you can shake a Serengeti stick at, and all of the evidence of the African elephant – crushed trees describing many paths they’d recently taken right by where we were driving. 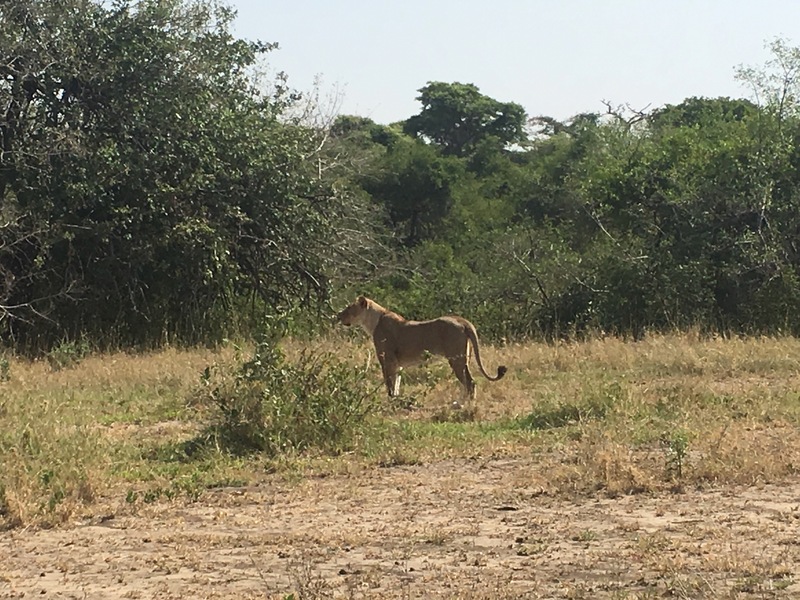 The highs of the day could not be tempered neither with the relentless heat nor with thoughts of male lions, the huge African elephant, or cheetahs we might have seen if we’d stayed longer. We were blown away by the vivid reality of what we had seen: legendary animals in a place so vast and wild it felt imaginary. A friend made an astute point about this wildlife: the people of Tanzania rarely has a chance to witness this wildlife on their doorstep; what a difference it may make to its future if the children of the country today could experience these marvels first hand and learn its value. How far away from everyday life on the streets of developing Tanzania that seems. 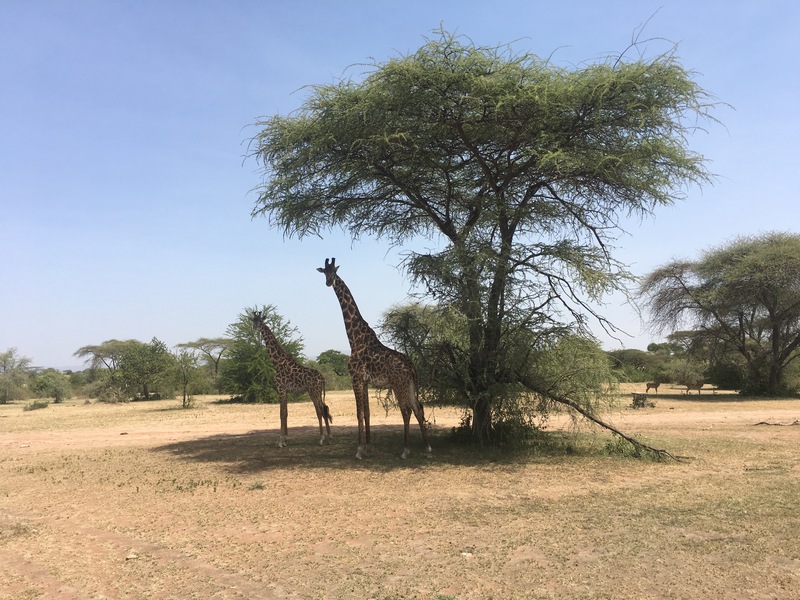 I would love to go back to the Serengeti: one day I may glimpse an African elephant and the lethal cheetah that the guides code as “up high” to describe its preferred position up in the trees. Thank you, animals of the Serengeti for somehow still being there. I will pray and dance and sing for the rain to arrive this year and in the years to come so you will see a wild and bright future.